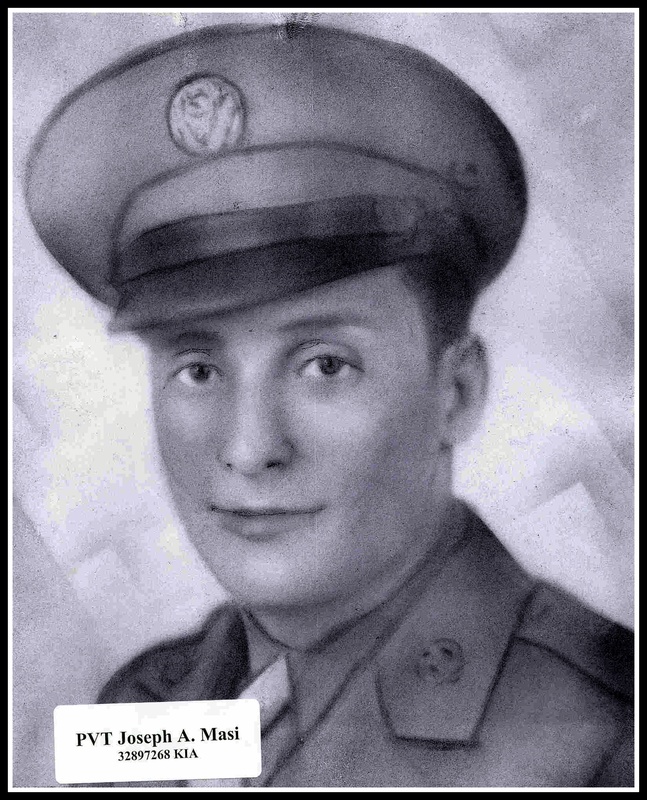 (Dec. 14, 1944) -- Private Joseph A. Masi, of Lake Street, was killed in action in France on October 25. Born on January 1, 1920, he enlisted in the Army in 1942. He served with the 45th Infantry Division. Masi served two months in Italy before heading to France. He was awarded the Purple Heart and the Gold Star Citation. His service number is 32597268. A 1939 graduate of Belleville High School, he is buried at Mount Olivet Cemetery, Bloomfield, N.J.